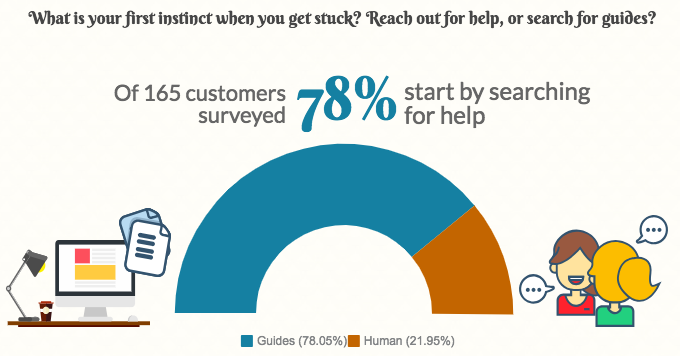 We’re proud to announce that we recently launched our brand-new Help Hub! This is the section of our site where we store all our guides and articles on how to use Moz Pro, Moz Local, and our research tools like Link Explorer. Our Help Hub contains in-depth guides, quick and easy FAQs, and some amazing videos like this one. The old Help Hub served us very well over the years, but with time it became a bit dusty and increasingly difficult to update, in addition to looking a bit old and shabby. So we set out to rebuild it from scratch, and we’re already seeing some exciting changes in the search results — which will impact the way people self-serve when they need help using our tools. I’m going to take you through 5 ways we improved the accessibility and reach of the Help Hub with our redesign. If you write software guides, work in customer experience, or simply write content that answers questions, then this post is worth a look.